Many times you have read and heard, that getting high scores in the games played in pinball machines is a matter of “luck”. But, do you think that the high scores achieved by the players of pinball machines are due to luck? It is necessary to have a great ability to play to achieve them. In this post, we are going to propose a series of tips, which can help you achieve high scores. 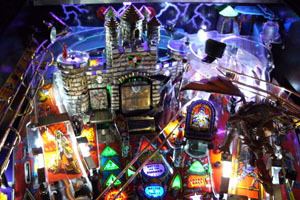 Each pinball machine we know, is based on a different theme that has different components that give you different scores. To get high scores observe the lights on the board and follow the instructions given by the game itself. Listen to the machine. Through the sounds emitted by the pinball, you end up differentiating the objectives to throw the ball to maximize the score.